HAHAHA! Scalie NIMBYS. I'm do they complain about shadows as much since they're only 2D? Honestly I don't like the facade. The solid portion looks tacked onto the glass. It's two different languages that don't appear to have any sort of tectonic relationship. If it wants to be glass, let it be glass. If it wants to be solid, let it be solid. If you look at the State Street Bank building, the glass portion rises out of the solid portion. This kind of relationship is the right approach to using two opposite languages. I think the massing of the tower itself is fine. What is the height to highest occupied floor and to top of crown? That parking lot in Chinatown would be a good spot for a significant tower but I'm gonna go with datadyne here and agree the dueling facades don't work. Crown/mechs need work too or is that still a WIP? Thanks for the feedback, I can see what you guys mean in regard to the facade issue. There is kind of a harsh contrast between the two now that you mention it. I can see what you mean by State St. It is still a work in progress though, I'd like to perfect it over time. The highest occupied floor as it is now would be at 612'. There is a floor above that, I think would be nice for some sort of communal function. A gym would be a bit cliche I think, but some kind of lounge/observation area would be nice I suppose. Anyways, that floor is virtually an open plan. Again thanks, for the feedback, I will try to incorporate it into some alterations. Any further ideas are appreciated. I'll send a picture of a sample floor plan sometime in the near future. does anyone know how Britney got into that post up above? Not sure I'm in love with the diagonal orientation, but putting them in a straight row left something to be desired, and this seems to best maximize side-views. 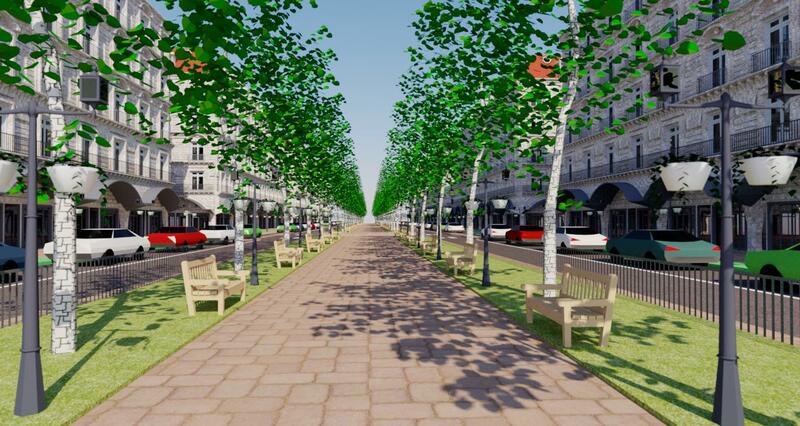 This picks up from a Design a Better Boston post about decking the pike between Back Bay and South Station: http://archboston.com/community/showthread.php?p=205909 - TL;DR: build mostly on terra-firma and make the deck itself a new wide boulevard. This was inspired by a few people's ideas, including Davem and others. In that post I linked to, I had a general massing model of how the corridor could look. 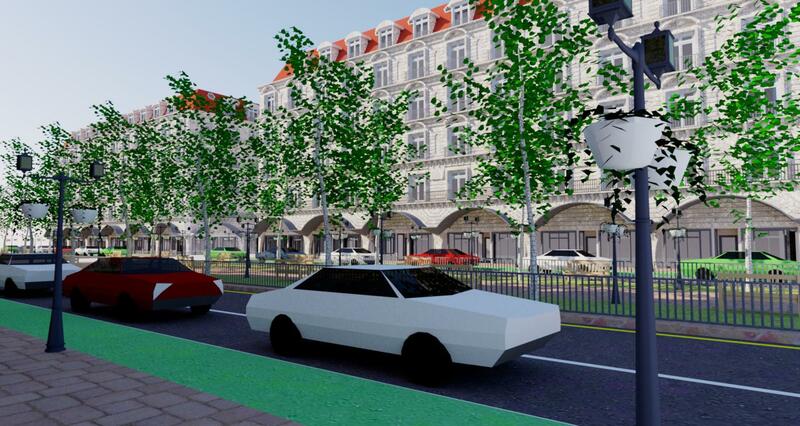 Here are some renders I made. 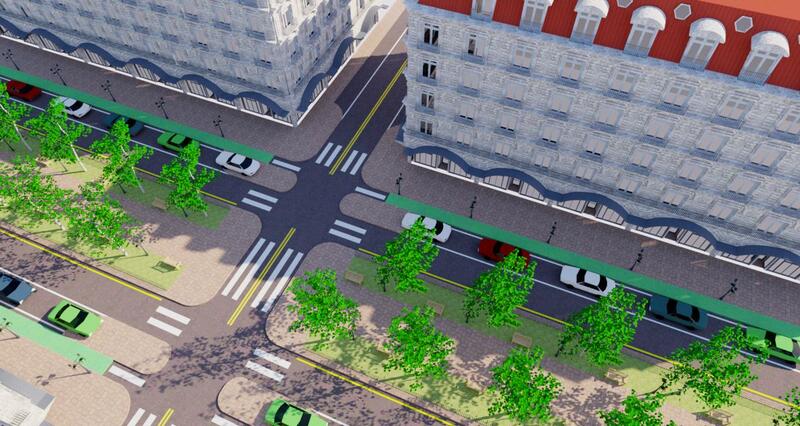 These are more conceptual than to any specific area, although the width of the ROW would be to scale, as would the general size of many of the cross streets. To some of your chagrin(s? 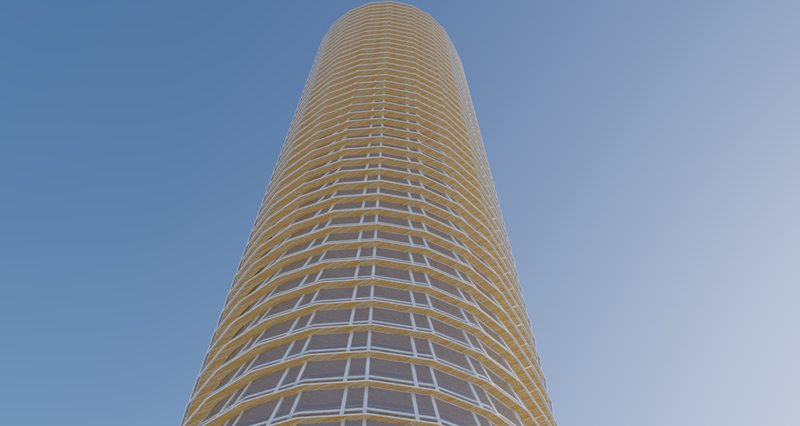 ), I dispensed with the high spine height (consider this might be closer towards Chinatown in this segment where height might not be as welcome), and went more classical than I think others here would prefer. But I really wanted to see this as integrating the city together, not as a distinctive piece of scar tissue. Anyway, that's pretty much where I am. Tbh at first I thought this was supposed to be a building you had designed for Paris. I do like this concept a lot but I would like to see some height along it but a mix of low rise and highrise is good and that is gorgeous so I would gladly give up height for that nice a development. I think having that as a base and then adding a few tall towers near Back Bay would be the best balance. I am so impressed by this design! If only we could make it happen. Quick sketch of an idea for 111 winthrop. The top would be clear or reflective mirror glass, the rest would be blue glass. 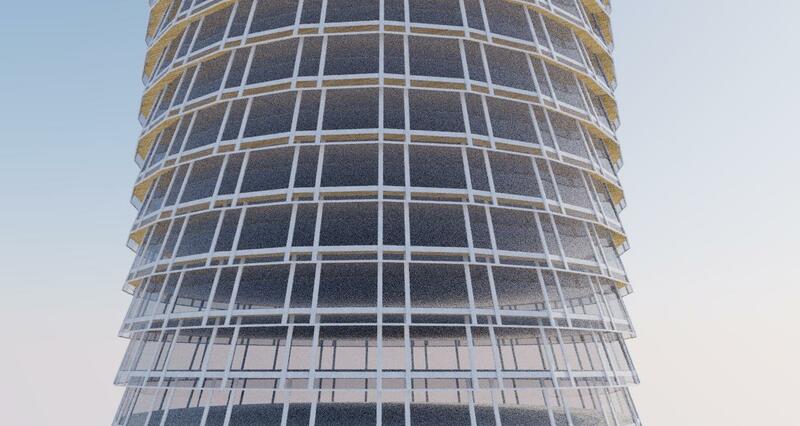 The penthouses would be in the top set back and the observation deck in the bottom floor of the uppermost set back. The crown/spire would be lit at night. Yea thats what I loosely based it off but its still completely different. I gave it a slanted roof, different crown, made the glass on the crown a different color than the rest of the tower, wide glass spire, and cross bracing. 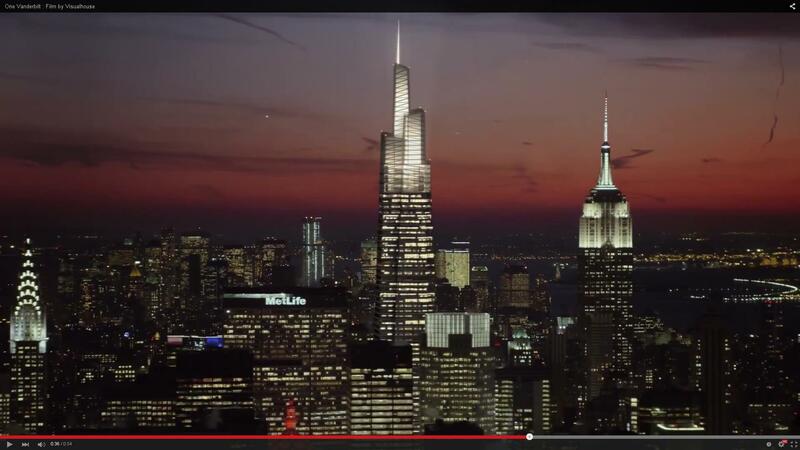 Its really only similar in that the sides taper and it is a glass tower with a glass crown. Love it, only i want more mass at the FAA limit at 100 Fed. that's what we needed at Back Bay or 1 Dalton (ughh). Is the free version of Sketchup still the best software to use if I want to try my hand at designing stuff and I have no experience? Whenever I walk by empty lots around the city I like to think up better uses for the spaces. I would love to turn some of my ideas into actual models. 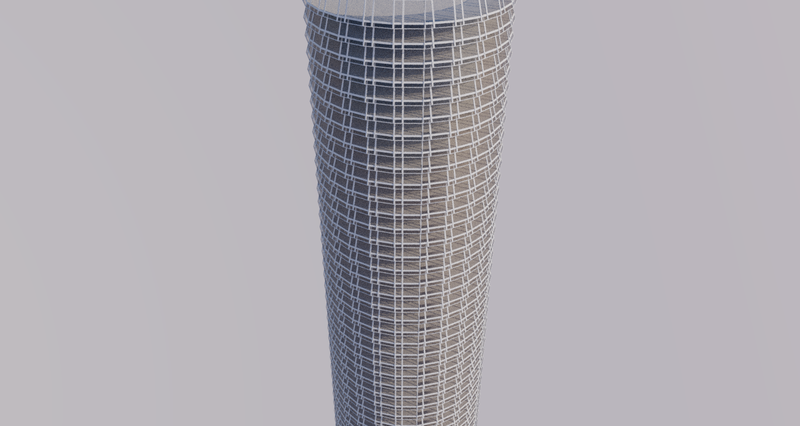 400' tower - steel, glass and (faux-) wood. The wood texture on the underside of each floor's overhang creates a color-shifting effect; at street level looking up the tower appears much more organic - almost treehouse-like. 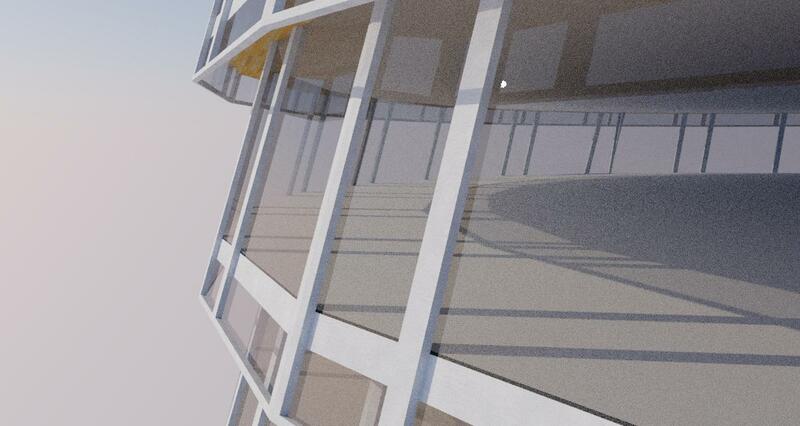 On the skyline, it's more of a standard steel-and-glass, with some organic hints, as in the first render above. I think it's an intriguing concept. I believe the sloped glazing would be a nightmare for rain, snow and especially ice runoff. That would limit the building to only being built where it doesn't drop below freezing, like Miami or something. Overall though, buildings should respond to their context and shouldn't be generic objects in space that can be plopped wherever, in whatever city. 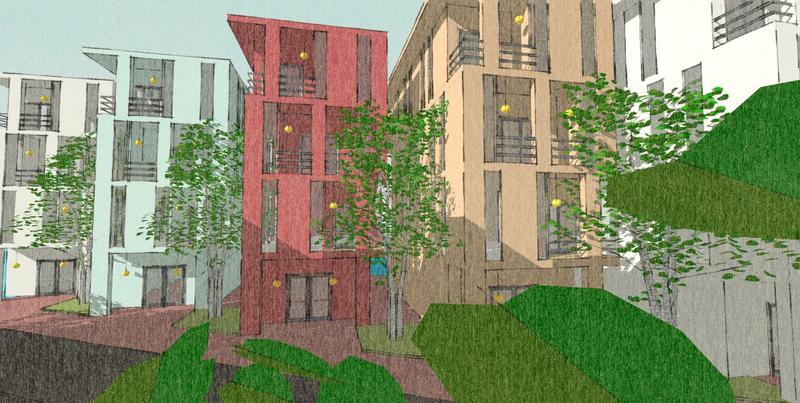 Pick a site and design a building that responds to the site. I guarantee you the results will be infinitely better. 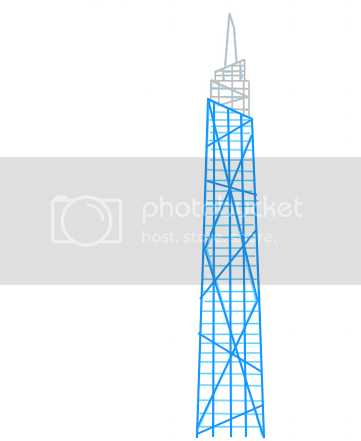 Here is a Neo-deco building supposed to be 800 feet+. Park/Green roof on the roof. Observation deck/Eatery in the upper floors.